FortiNAC fills out the vendor's security fabric, providing a more comprehensive end-to-end security solution. 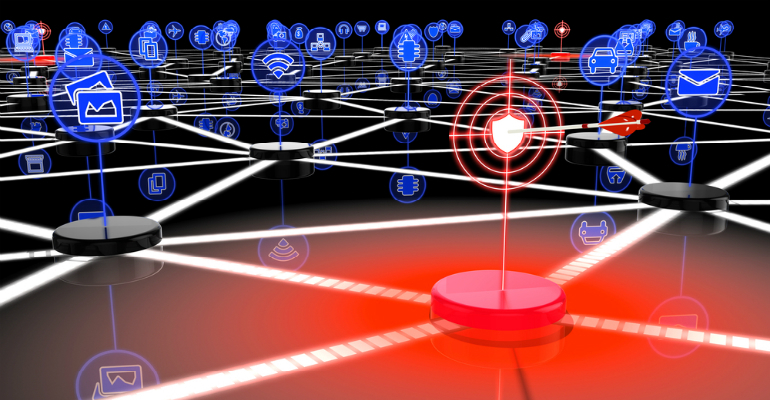 Three months after its Bradford Networks acquisition, Fortinet on Tuesday introduced FortiNAC, a network access control (NAC) solution for IoT security that represents the first integration between Fortinet and the Bradford company product — Network Sentry. The driver for the Bradford acquisition was to provide businesses more visibility into IoT via Fortinet’s security fabric. With today’s news, Fortinet strengthens its security fabric by extending its ability to engage network devices beyond the Fabric-Ready Partner Program to a wider multivendor environment, including third-party firewalls, switches, wireless access points and endpoints. FortiNAC is also integrated with the FortiGate Next Generation Firewall, FortiSwitch, FortiWLC Wireless Controllers, FortiSIEM and FortiAP to minimize the risk and impact of cyberthreats and provide broader visibility and security for complex networks, the company said. When looking at IoT security and NAC security, there are visibility, control and response requirements. Maddison said additional integrations will feature more in-depth segmentation and control, and eventually, response. According to Gartner, IoT endpoints will sport a 32 percent compound annual growth rate (CAGR) from 2016 through 2021, reaching an installed base of 25.1 billion units. NAC is evolving to be the long-term IoT security solution for enterprises, said Maddison. The massive rise of unsecure, headless IoT devices, including industrial and medical IoT, that require new tools for securing networks. The new FortiNAC product broadens the company’s product portfolio, which touches network security, endpoint security, advanced threat protection, access points, switching, web application firewalls, email security, cloud security, security management and more recently, SD-WAN. He expects Cisco and HPE to be the company’s biggest competitors, along with ForeScout Technologies.